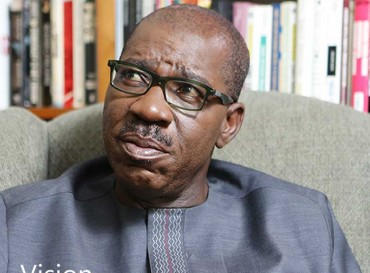 BENIN—AHEAD of the 2019 general election, Governor Godwin Obaseki of Edo State would later this week meet candidates for all elective positions to fashion out strategies to ensure victory for the All Progressives Congress, APC, in the state. There would not be governorship election in the state until 2020. Vanguard gathered that most of the aspirants would be attending the meeting . The meeting, it was gathered, is also to ensure that the party goes to the election as a united fold. In a related development, the APC has said the reported suspension of the Speaker of the House of Assembly, Hon Kabiru Adjoto was not true. A statement issued yesterday by the State Publicity Secretary of the party, Chris Azebamwan, reads: “The correct position is that the State Working Committee threatened to suspend the Speaker for refusing to comply with a decision of the party.